Jim Carroll grew up to become a renowned poet and punk rocker. But in this memoir of the mid-1960s, set during his coming-of-age from 12 to 15, he was a rebellious teenager making a place and a name for himself on the unforgiving streets of New York City. During these years, he chronicled his experiences, and the result is a diary of unparalleled candor that conveys his alternately hilarious and terrifying teenage existence. Here is Carroll prowling New York City--playing basketball, hustling, stealing, getting high, getting hooked, and searching for something pure. The Basketball Diaries was the basis for the film of the same name starring Leonardo DiCaprio. 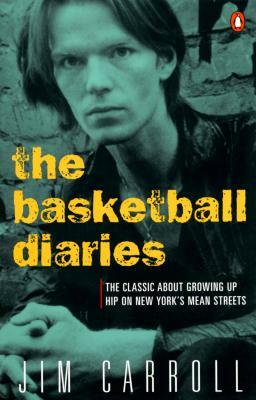 Jim Carroll’s bestselling memoir The Basketball Diaries was first released in 1978 and adapted as a film in 1995. Carroll’s work includes several collections of poetry as well as a asecond memoir, Forces Entries: The Downtown Diaries 1971-1973. As the leader of The Jim Carroll Band he released three albums as well as several spoken word recordings. He died in New York City on September 11, 2009.